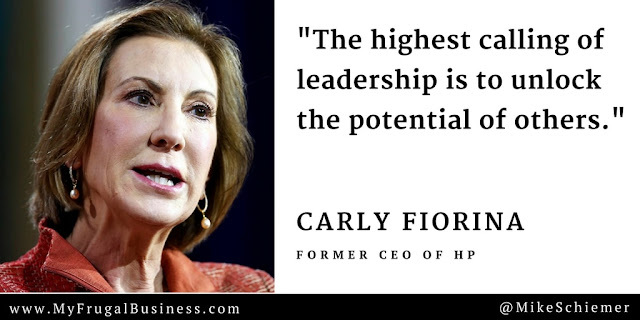 Carly Fiorina is most well known for her role as Chief Executive Officer of Hewlett-Packard aka HP from 1999-2005. Carly Fiorina is the first woman to be CEO of a Top 20 Ranked Company. Carly Fiorina is also one of the only women in history to run for president as well (against real estate developer Donald Trump for the Republican Party ticket). 1) "The highest calling of leadership is to unlock the potential of others." 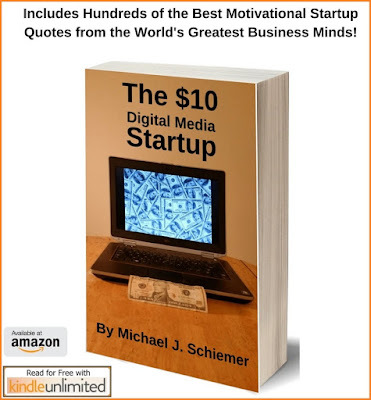 2) "Love what you do, or don't do it. Don't make a choice of any kind, whether in career or in life, just because it pleases others or because it ranks high on someone else's scale of achievement...Make the choice to do something because it engages your heart as well as your mind." 3) "Whatever the consequences of staying true to yourself, they're much less than the consequences of selling your soul." 4) "The data is clear: If you give a woman an opportunity, she will make a huge difference." 5) "Leadership comes in small acts as well as bold strokes." 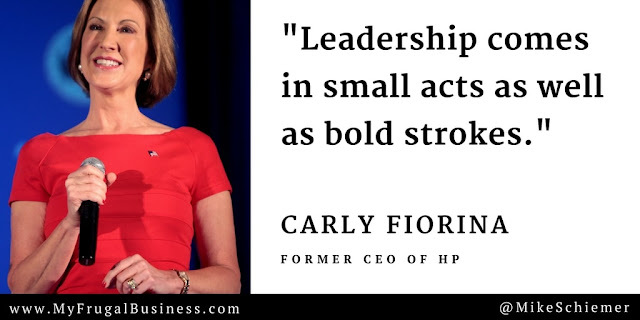 Thanks for the inspirational business quotes Carly Fiorina! I hope you enjoyed these famous business quotes from one of the most powerful women in business and tech. Interested in more quotes from influential women in tech?